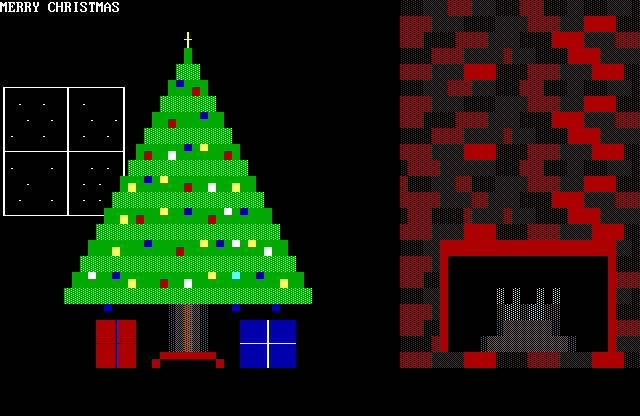 This is an actual ANSI screen I created in 1993 using a Leading Edge brand computer that had a 80286 processor, 640KB RAM, 16-color EGA graphics card and a 30MB hard drive running MS-DOS 3.20. I created my ANSI screens using a program called TheDraw and would upload them via 2400bps modem to some of the various bulletin board systems I frequented during those days. I saved this and other ANSI screen files to some 5 1/4″ 360KB diskettes, where over time they were copied to 3.5″ diskettes, then to CD-ROM and finally to DVD-ROM where I still have access to the very files I created 20 years ago. To render the ANSI screen to the PNG format presented in this post, I used PabloView, a free viewer that converts ANSI and RIP screens to more modern file formats. All this just to wish you a Merry Christmas. ← Today’s words of inspiration.